In my weekly routine, I try to strike a balance between academic thinking, practical thinking and the balance between the two. Living in northern Vermont gives me the opportunity to create fun metaphors to think through complex topics, allowing me to add a bit of local color. December is typically a cold, dark and ‘stay inside’ kind of month around here. Yes, there is a little bit of last minute shopping to be done, but often the keyboard and Amazon suffice. However, there is typically little snow in December, thus no real good reason to go outside. As luck would have it, this year has been a little different, with 30 inches (75cm) of snow directly before New Years, kids sledding on the hill, me able to hit the slopes with my boys. This December was indeed, different. What is the Right Amount of Information? I am driving my daughter to gymnastics and present to you the following: it is 25 degrees Fahrenheit, snowing and there is 3 inches (~7.5 cm) of snow covering the road. I am traveling a meager 20 miles per hour. I ask, via twitter of course, if my foot should be on the accelerator or the brake, how would you answer me? Skipping the obvious, a stop sign or a car stopped ahead (It was a voice activated Tweet). Is the simple Tweet enough for you to answer my question? What I am getting at here is that their are a few parts, first we have the data (temperature for example). Information then comes from assembling and analyzing the data. In this case, we have temperature, precipitation and road conditions. Knowledge comes first from putting the information together and adding context. It is snowing, the roads are covered and the temperature is not going to melt the snow. There is probably hard pack snow, on the roadway, underneath the freshly fallen snow. Wisdom is then applying experience and acting accordingly. I will try hard not to drive off the road, remembering that four-wheel drive is great for going, it does nothing for stopping. In this situation, I am actually traveling up a hill, one way, (and down a hill on the return). This is an important piece of information, without it, an answer should not be given. So, it does depends which direction I am driving. If I am trying to make it up the hill, I need a little more speed. If I am going down the hill, I am hoping that the breaks do their job. In the digital age, the difference between information and knowledge is important and it is going to become even more important. This is in no way an academic debate that I am trying to jump into, 20 years late. 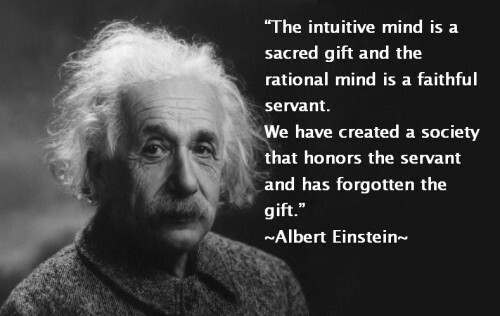 Many people, smarter than me, have given this discussion much more thought. What I am trying to suggest is that context is a critical piece of information, and without context all you are giving back is data, information at best. In order to present knowledge, information, data, insights and experience need to be in a continuous loop. This is especially true in the digital age of rapid communications. Teams need to think through as many scenarios as possible and make sure the context is carefully considered. Looking at a Tweet, a Post, a Blog, a Picture or a Status is only one bit of information, usually in isolation and not enough. Some would say it is only one bit of data not even information. The capability to respond, engage or communicate on social channels requires access to information (what is the right answer), but beyond that is ‘How’. It requires experience, insights and, yes, context. What has not changed is that answers, right or wrong, travel far and wide. Context is the idea that the information shared is relevant, in both time and situation to meet the needs of the person asking. In the scenario above, telling me that the car is certainly capable of 140 miles per hour is not an incorrect statement, but it does lack relevance. The call to action is to make sure that your people, processes and technology are up to the task. A Mashup, is it Possible? Clearly guided by a few musical mashups that I have been listening to recently, I wondered if it would be possible to create a mashup blog post. Thinking out-loud here, this could just be one long, run-on sentence that will make little sense in the end. It might be fun, or a bit of a waste of time. I suppose, you will be the judge of that – after all, the experience is yours to have, not mine to give. What it does for me is illustrate that as much as we would like to believe that things are getting simpler due to technology, they are in fact getting much more complex. What was old is new again and the Internet of things is leading the charge in 2013. Everything is connected including people. Pretty soon a Facebook post by my wife, complaining about the cold weather, will turn up the thermostat in my house. Of course, if we move this the collaborative enterprise, then analytics and bigdata would need to be involved, and the temperature the office would need to be decision set by voting through streaming software, such as Yammer, Chatter, Connections or Jive. If we are talking about the temperature of the store, say Walmart or BestBuy, then of course, the voice of the customer would need to be integrated with the personal preference, the collaboration software as well as the input from Lithium, GetSatisfaction or Telligent. Thank you to Nest for making all of this possible, though I am not sure this is what they had in mind. While we are on the subject of collaboration, it seems that email has nine lives and that the death of email has been a bit premature and/or greatly exaggerated. The amazing thing here is that the moment a new email thread is created with more than one person on the ‘To’ or ‘Cc’ line (no ‘Bcc’ here, please) then you have created an ad hoc collaboration event, which we have all been doing for years, little did we know (what is old is new again!). Another fun form of an adhoc collaborative event is the #hashtag. Now, these are not always ‘ad-hoc’ as TV and the movies are trying to push some out there, but during sporting events some do spontaneously pop-up, which are fun. Now, if I want to make a conversation public, then I can share some of the thoughts Facebook, Twitter, or Google+ (where I can Like, RT or +1, respectively). If I decide to create more visually based sharing, then the sharing would need to be more along the lines of Instagram, Flickr or Multiply and if I am really adventurous then maybe even YouTube. I am not only thinking about the workplace, we are collaborating at home as well, think about music and movies, YouTube, NetFlix, Hulu, Pandora, Spotify; each an entertainment play, with stickiness coming in the form of, yep, social sharing, community or whatever your favorite name might be. Myspace fits in here somewhere, making a comeback of its own, though I am not so sure we will see a lot of Napster nor Friendster. I do need better filters (sorry, not photo filters), so that I do not suffer from information overload. This filter will of course be cloud based, as a hybrid solution will not work, nor will a complete on-premise solution. As my information needs grow, the elasticity of the cloud will make sure that everything is just fine and all of the information will be seamlessly stored in either Box, DropBox, SkyDrive or a Google Drive. Once all the information is stored and I decide I want to write a crazy blog post (yeah, sorta like this one) I will be thankful that Evernote is close at hand, then I can transfer my thoughts from there to WordPress, Posterous, Blogger or Tumblr where I will link to from Twitter, Facebook, LinkedIn and schedule all of this through Buffer – did I leave anything out? Yes, if I want to comment, Disqus is an important part, I suppose. funny that I have made it to this point without even a mention of the most popular protocols of all, Skype, Chat, IM and SMS. Where do they fit into the conversation? Something I forgot is that I need something to create my word cloud for all of the topics that I hit in 2012, otherwise, my infographic will not look very professional! Going back to email, I need something to organize my inbox; you know, the 3 Gmail accounts, the 2Yahoo accounts, Live, Hotmail and the AOL account I will never admit in public that exists. The question is, in 2013 is it going to get better, or worse? Are we going to invent more terms, more niche platforms, more things to remember – yeah, probably, but it will be fun, right? Finally, we will be doing all of this, on a daily basis from at least 4 devices each, with form factors from 3×3 to 48×72 and operating systems including, but not limited to Android, iOS, Win8 and a few others, as well. Excuse me, I need to run, the phone is ringing! Organizations big and small are feeling pressure to get everything “right.” Social interactions are public, tweets are scrutinized, Facebook posts are challenged, networks like Pinterest Google + are growing rapidly, evolving daily. In this environment of open and public communications transparency is not really an option, it just is – get used to it. Social CRM is an opportunity, scary and daunting. Social CRM is a bridge to the connected customer. It is part strategy, part process and yes, technology; all in support of an organizations goals and objectives. Social CRM is an enabler an extension of CRM. it allows companies to truly engage customers, resolve problems, recognize new revenue streams and gather detailed customer behavioral data. Social CRM, as an initiative will fail if it is considered revolutionary. It is transformative, an evolutionary step towards customer centricity. The complexities should not be taken lightly, as joining social media and CRM, is more nuanced than simply more channels, more rules and random best practices. Part of the confusion comes from looking at social as a new phenomenon, as opposed to what it really is – a way to extend customer communications and interactions across new and diverse channels. Being social is as old as civilization itself. What is really new is that in the information age, in a services based economy, companies now need to listen and pay attention. The consequences to ignoring (ignorance?) will be harsh. The good news is that companies should be able predict how their social media activities will work by looking at how well they incorporated earlier technologies into their CRM discipline. For example, how well a company integrated email into its CRM and marketing channels will provide an indication of how easily Twitter, Chat and other programs will be incorporated. One of the bigger challenges will be who (which department) will “own” the social channels. Here is the answer; IT owns the infrastructure, the process is shared across the company. Looking at social media channels as an extension of existing CRM makes some sense; but it is not the way that many companies are incorporating social media into their daily routines. More than half of all organizations have adopted the use of some form of social media, intending to use it in some sort of social CRM practice (Customer Service for example): >50% adopted Twitter and nearly 60% adopted Facebook. The success of Social CRM has less to do with the size of the company than with how seasoned the CRM and marketing teams are at extending their processes with newer technologies. Social CRM is about being human and scaling the company personality. Social is different when it is applied to Sales versus Customer Service or Marketing, it has to be different. This is why there is no need for a Social CRM Magic Quadrant! Recent data suggests that larger companies (more than 1000 employees) have been using social CRM for 2+ years, but smaller companies are quickly catching up. What is really interesting is the finding that there is no “standard” method for social CRM and social CRM lead generation success. Companies with comfort and practice in integrating new media to traditional channels are the most successful, but how to turn a Tweet into a sale varies extensively by company, with other factors, such as target buyer demographics coming into play. What is clear is that the companies who can successfully extend their CRM practices to include social media channels (in process and execution) will be at the forefront of truly leveraging ‘social’ for business benefit. Being able to tap into user behavior and communicating with them in a smart way, such as offering targeted services or information relating to a customer’s usage patterns, is the end goal of forward looking CRM. However, customers are not expecting this level of service. Customers don’t always expect an answer to their Tweet are leery of an offer related to their customer profile (or worse, their Facebook profile), so caution is advised. Consumers and buyers will be expecting a high level of service in the coming hours, days, weeks, months and years; now is the time to get the channels ready. This is my goal with launching DRI US – the execution, getting it right and helping others figure out how to do it also. Regardless of how companies merge social media into CRM and other channels, one point is clear: social media gives customers a stronger voice and way to engage. Companies now have a way to leverage social channels, but they can also make social channels a powerful way for customers, advocates, investors and others to interact with their brand and become ambassadors. The emergence of Google+, Pinterest and others provide an almost hybrid combination of social media and brand visibility that can allow a powerful channel for awareness. Companies should look for ways to include these channels into their marketing, advertising and CRM programs, approaching them from the angle of how customers would first enter and engage. Those companies that are among the first to do this will be innovators in the continued emergence of social channels. I need to begin with the following: I have the highest respect for the authors and contributors to the recently released Gartner Magic Quadrant for Social CRM. I am disagreeing with the ideas and concepts, not people. I am more troubled that what was published is so off the mark, as it leads to further confusion in an already confused space. This is not to say that the companies included in various locations are right or wrong either, it is simply the apples to oranges comparison of ‘things’. At the outset, the authors describe Social CRM as a” business strategy that generates opportunities”. While I agree with the first part, it is the second part that is the struggle as it takes an inside-out company centric view. The single most important part of Social CRM is that it needs to start with an outside-in view (organizational benefits can still be realized). The focus should be on the needs of the customer, on their jobs-to-be-done, the outcome they want and their experience – it is about the customer, not the company – this is what the social part is about. 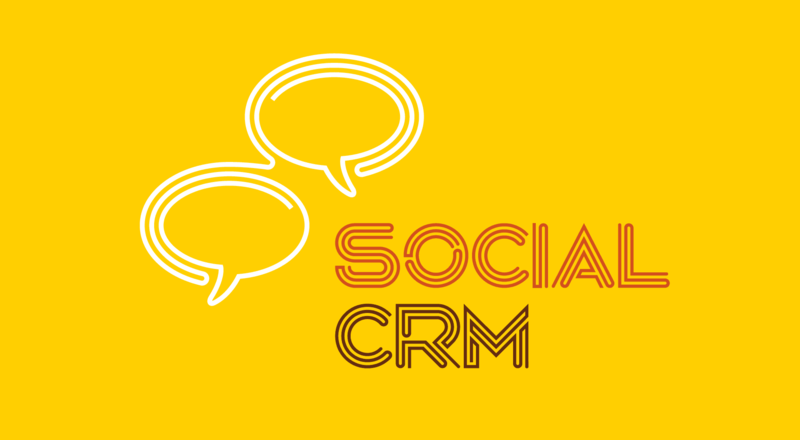 While many parts of traditional CRM might remain about the company, Social extends it in the right way. Social CRM is, and always has been about extending CRM, not replacing it. It is about the integrations, the connections; it is about the space between the applications, the enterprise and the customer. It is not itself another enterprise application – certainly not another silo. It is not whether a new class of application can capture content. It is whether the current processes can become more practical and interesting for customers to share content, the capture part is easy and there are lots of applications which already do it. I apologize in advance, but I have never met a software application that can “Build Trust” (Sorry Siri). It is because of the focus on technology and applications that Gartner loses its way here. In many of their other Magic Quadrants, the maturity of the application and/or the technology is critical to the success of the initiative. In Social, people trump technology every time. I struggle to see how any application can “improve self-esteem”. When used properly, I suppose I can stretch a little to understand the thought, but it is much more about the people. Giving access to more information and better information is critical of course, but why is that “social”. Customers do not want to feel more involved in their decisions, they want to be more involved in their decisions. In the digital age, information flows easily in directions you cannot predict and pathways you cannot control. Your customers have questions, they need answers and they want to be heard; they are a little short on patience as well. At the click of the mouse, people expect answers, solutions and resolutions. Social CRM is about humanizing your organization, it is an enabler of positive customer experience and meeting expectations. The benefits to you are tangible, in the form of loyalty and advocacy. Social CRM does NOT need a quadrant. What companies need is help understanding how to humanize their CRM practices. 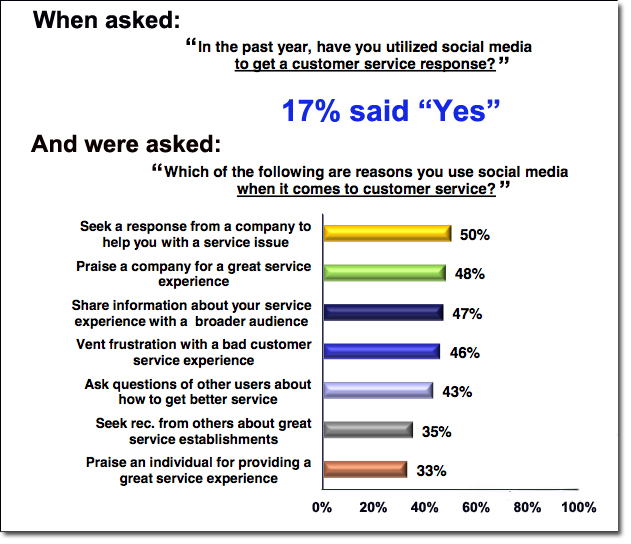 Do Customers Want or Use Social Channels for Service? Customer Service using Social Media Channels is a nascent discipline, which is good, because fewer customers than most people think are actually using it – but its time will come. Just look at the usage from the customers perspective, barely 17%. American Express and ECHO just published some findings that paint an interesting picture. I would also challenge some of the results, or methods, or both. Not because I know better, but because I am confused about what exactly they are asking and how they asked. When these results are compared with some recent research (company perspective) I conducted with thinkJar, there is a bit of a gap between what companies are spending time and money on, and what their customers are actually using. OK, I am going to dissect the above a bit, and ask others to tell me I am wrong. My take on the data is that while 17% said “yes”, only 1/2 of those used social to “seek a response from [the] company to help [you] with a service issue”. It is obvious that is was not a ‘select one choice’ question, more likely a ‘select all that apply’, which makes piecing it together that much more complex. Even then, these are certainly not all customer service issues. For example, ‘praise’ is certainly not an ‘issue’, but could be tracked, possibly recognized. My point here is that no matter how you look at this data, it is 17% or lower, who are using social channels for something most people would call “customer support”. A secondary issue I am having – it is all about me, sorry – is the stated methodology. I am hoping someone can help me out: “Research was completed online among a random sample of 1,000 U.S. consumers aged 18+. Interviewing was conducted by Echo Research between February 22-29, 2012.” If this was truly an “online” survey, then the results are skewed. Meaning, when you ask people who are online if they use a digital channel you will get different results than if you stand on the street or call on the phone. But ECHO are smart folks, so I must be missing something. Any ideas? Yes, Yes, Yes – Absolutely! It is beyond complexity too, it also includes the level of personal data involved. The complexity part makes sense, more on that in a moment. From a data perspective, at one end of the spectrum is ‘none’ the other end is that there is a social security number involved. It could be the simplest of issues, but if a customer needs to provide very private data, they will use the phone. According to the research, for a simple inquiry, ‘website or email’ was the top choice, at 38%. Now, I am going to pick on ECHO again, just a bit. There is a pretty big difference between a website view (aka; self-service) and email (please help me), but who am I to criticize? The major point to note here is that ‘Social Networking Site’ at 7% was tied for least preferred channel – even for simple! As an inquiry becomes more complex, the preferred channel transitions to the higher touch, synchronous choices, such as face to face; 24%, up from 11%, and phone; 38%, up from 16% and (“speaking with a ‘real’ person” – love that). In the ‘more’ complex range, ‘website or email’ drops to 15%. No surprise, ‘Social Networking Site’ was tied for least preferred; 3%. Finally, for “difficult” inquiries, phone jumps to 46%, face to face up to 30%; Social finally has sole position as least preferred, at 3%. This is probably not a surprise. Is it? There is some interesting data hidden in the AMEX/ECHO report. There might even be some interesting information and a few insights, but you need to use this along with your own customer data. I wrote recently about trusting data versus your gut, and this certainly applies here. It is also very clear that while customer are increasingly using social channels for different reasons, the traditional channels are not going anywhere any time soon. Forrester data suggests that people often do not start on social channels, they start on traditional channels, switching only when the experience is poor. Are companies driving this initiative? Who let the Genie out of the bottle and who is trying to put it back in?